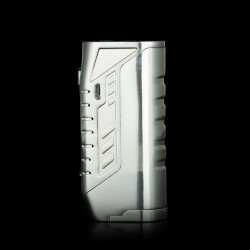 Today we take you to the manufacturer Alphafox to discover a new electronic box: The Famas 100W. Want to know more ? Well, let's go for a complete presentation of the beast. 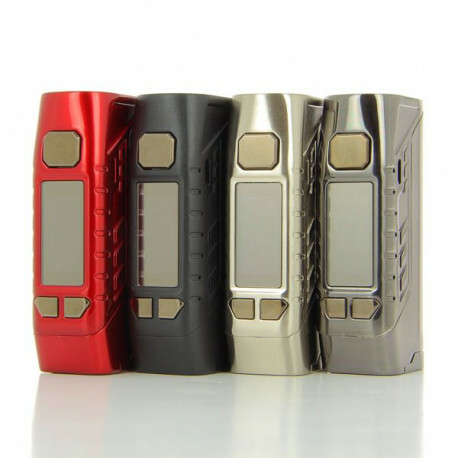 Known for his latest box Mini Bolt 80W, the manufacturer Alphafox was expected at the turn and he comes back today with an even stronger model: The Famas 100W. Rectangular and entirely designed in zinc alloy, the Famas 100W box is robust, compact and ergonomic. At design level nothing exceptional even if it refers obviously to the famous assault rifle 5,56 mm model "F1 MAS" of the French army. On its main facade there will be a large rectangular switch, an oled screen and two buttons variation. Powered by a choice of 18650, 20700 or 21700 batteries, the box Famas comes with an adapter and will have a maximum power of 100 watts. There are many modes of operation including variable power, temperature control and "Taste" mode (equivalent to Curve on other boxes). The new box Famas 100W by Alphafox is now available for 45 Euros about. Following : UNITED STATES: President Trump wants to tax the vape up to 100 million dollars a year.